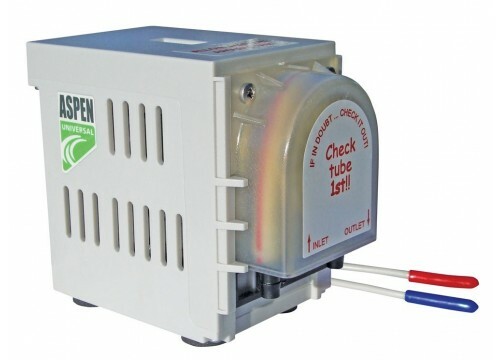 In 1992 Aspen pioneered the use of Peristaltic Condensate pumps and today are still setting the standard for reliability and innovation. Peristaltic pumps offer the ideal solution for condensate removal due to the combination of quietness, reliability and installation advantages. The Peristaltic rotary movement generates a continuous pressure meaning that the pump can be sited over 15m away from the condensate source with no effect on performance. In addition, the pump mechanism does not come into contact with the water, removing the risk of contamination or corrosion.